As a specialist in the field of lung cancer, Dr. Quadrelli has been responsible for promoting the creation of multidisciplinary cancer boards all over Argentina and in other countries in South America. 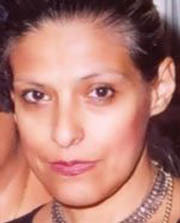 From her position as Director of a Thoracic Oncology Centre (Buenos Aires British Hospital) and in different leadership positions in several respiratory and cancer associations, Dr. Quadrelli has had extensive experience in being in charge of disseminating the increasing role of bronchoscopists in the molecular diagnosis of lung cancer in Argentina and South America. In regards to board membership roles, Dr. Quadrelli has had an extensive experience in being in various capacities as a leader in the Argentinean Association for Bronchology and the South American Association for Bronchology. Additionally, she has been long involved in the WAB and WABIP, contributing to its congress, the WCBIP, as a member of its scientific committee in the past 4 congresses (including Florence 2016). Dr. Quadrelli has also participated in the committee of the South American Association for Bronchology Conference since 1995 and up to 2016. Other international association responsibilities included the American College of Chest Physicians, serving in the Steering Committee Cultural Diversity Network (2008-2011), as a Governor for Argentina at the International Committee (2009-2016) and as a member of the Nominating Committee (2011-2013). 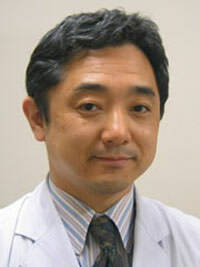 Dr. Hideo Saka graduated from Nagoya University School of Medicine in 1980. After taking his residency in Aichi Cancer Center, and Nagoya First Red Cross Hospital, Dr. Saka engaged in academic clinical research works at Nagoya University Hospital. As chair of the Department of Respiratory Medicine at National Nagoya Hospital since 1998, Dr. Saka's focus is on clinical research on pulmonary intervention and cancer chemotherapy. Dr. Saka received the Ikeda award from Japanese Society for Respiratory Endoscopy (JSRE) in 2006, and has been elected as a non-voting president of the annual meeting of JSRE in 2016. He has served on the Board of Regents of WABIP, and played an important role in international education on Bronchology. His main targets are pulmonary intervention on the central airway diseases, and diagnostic approach to the peripheral lung lesions. Many publications prove his efforts and creativity in this field. He is honored to be a part of steering committee of this Society. Dr. Zsolt Pápai-Székely graduated from Semmelweis Medical University in Budapest, Hungary in 1989. He is Board certified in Pulmonary Medicine and in Medical Oncology. After working as a staff physician and Assistant Professor of Medicine at the Korányi National Institute of Pulmonology, Dr. Pápai traveled widely in the United States and Europe to further his education. In 2003, he was named Head of the Department of Pulmonology and Thoracic Oncology at Székesfehérvár, making it rapidly one of the busiest interventional pulmonology referral centers in his country. Dr. Pápai’s major clinical interests are in bronchoscopy and particularly in the diagnosis and treatment of lung cancer. He has a longstanding history of leadership, and was Chair of the Hungarian Association for Bronchology. 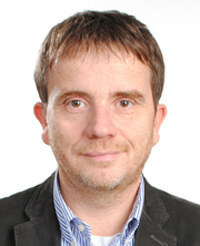 Since 2010, he served as Secretary General of the Hungarian Respiratory Society. He also served as the International Regent for Hungary in the American College of Chest Physicians, and was elected chair of the International Council from 2009-2010, and was President of International Bronchoesophagological Society from 2010-2012. He has been an active member of the WABIP since many years, and was chosen to be the President of the highly successful 10th World Congress for Bronchology and Interventional Pulmonology held in Budapest in 2010. Dr. Fielding is a current, full time Physician and Director of Bronchology at RBWH, belonging to a unit where 1200-1400 procedures are performed per year including a large component of all forms of EBUS Bronchoscopy. In addition, Dr. Fielding performs airway interventions including stenting and cryoablation and bronchial thermoplasty and valves, as well as rigid bronchoscopy and cryobiopsy. Research is focused on improving peripheral nodule biopsy and molecular genetics of lung cancer specimens as well as procedural training. Dr. 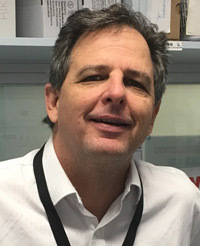 Fielding graduated with MBBS from University of Queensland in 1987, and underwent training in Pulmonology at Royal Brisbane and Womens Hospital and Prince Charles Hospital in Brisbane and obtained my Fellowship of the Royal Australasian College of Physicians in 1994. Dr. Fielding had Practical overseas experience at Middlesex Hospital London working under the supervision of Drs Stephen Spiro Martin Hetzel and Jeremy George including Rigid bronchoscopy and Lung cancer clinical trials training. Immdeiately following this, Dr. Fielding obtained MD from University of London under the supervision of Drs Steve Bown and Martin Hetzel. The topic was Effect of Laser percutaneous treatments on lung parenchyma, as a prelude to what ultimately became Percutaneous RF ablation Key. Other overseas training stints presided with Dr Noriaki Kurimoto in Hiroshima Japan (EBUS Guide Sheath and EBUS TBNA) and Dr Werner Mall Hannover Germany ( Medical Thoracoscopy). La World Association for Bronchology and Interventional Pulmonology (WABIP) es una organización sin fines de lucro con más de 8,900 profesionales médicos que representan más de 50 sociedades regionales y nacionales.